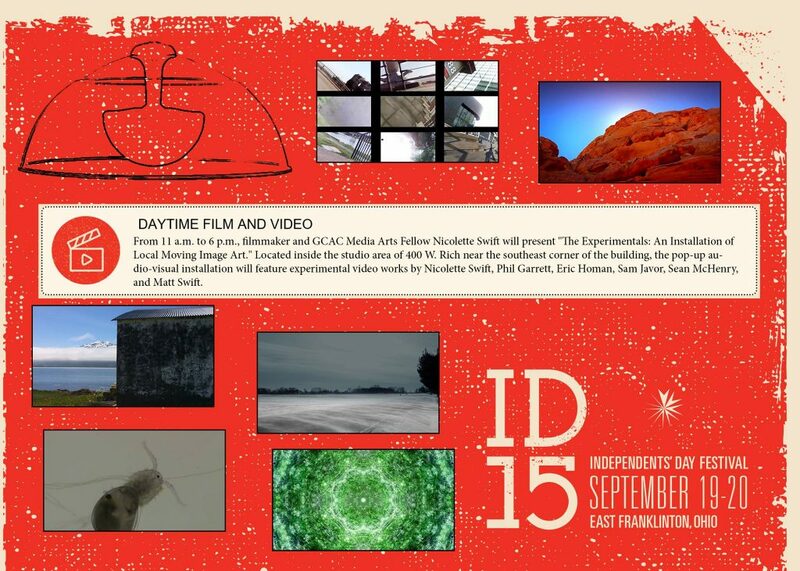 As part of the Columbus, Ohio 2015 Independents’ Day Festival on September 19th and 20th, a handful of my experimental landscapes were included in a curated pop-up cinema called “The Experimentals”. The pop-up installation was designed and curated by Nicolette (Nikki) Swift and she has posted specifics about it on her website. The show consisted of a handful of artists who, in some way, are engaging with the modes of experimental and documentary cinema with a primary focus on landscapes, ranging from urban, rural, vast open spaces, to confined microscopic spaces.